Over the past week, I’ve seen 50 or so pitches from Norwegian startups, and I must have spoken to another hundred or so. The topics were predictable; the challenges they’re facing, the problems they’re solving and the markets they’re hoping to upend. It was illuminating and refreshing to see this from a Norwegian perspective. Unsurprisingly, a lot of startups are fighting off the same gremlins as those anywhere else in the world. 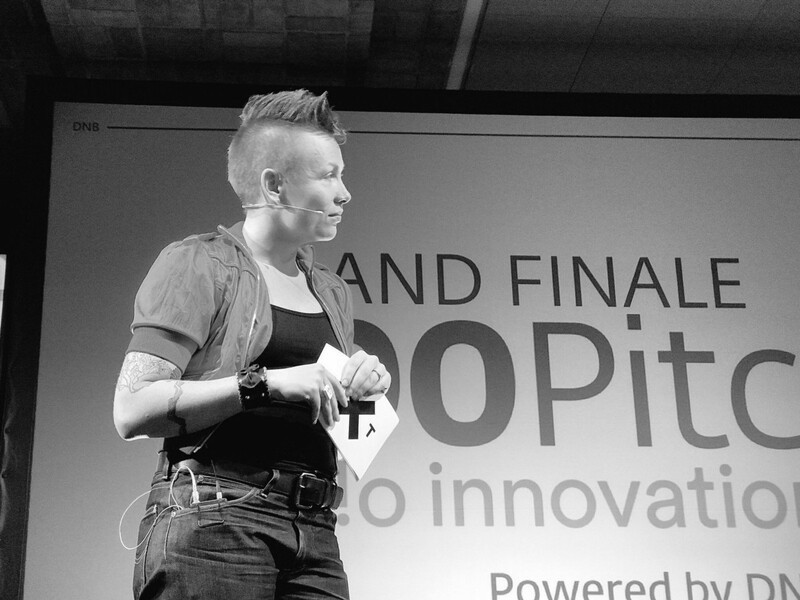 I was in Oslo as part of Oslo Innovation Week, where I was on the jury for a couple of pitch competitions. It was tremendously fun, not least because when I was in Norway 4–5 years ago, there basically was no startup ecosystem worth speaking of. That is rapidly changing, and it looks like the country has put some smart and empathetic people in charge of government interventions to try to cultivate the ecosystem. Shrewd move. Throughout my conversations, I started realizing that I was coming across some common themes among the startups I was talking to. 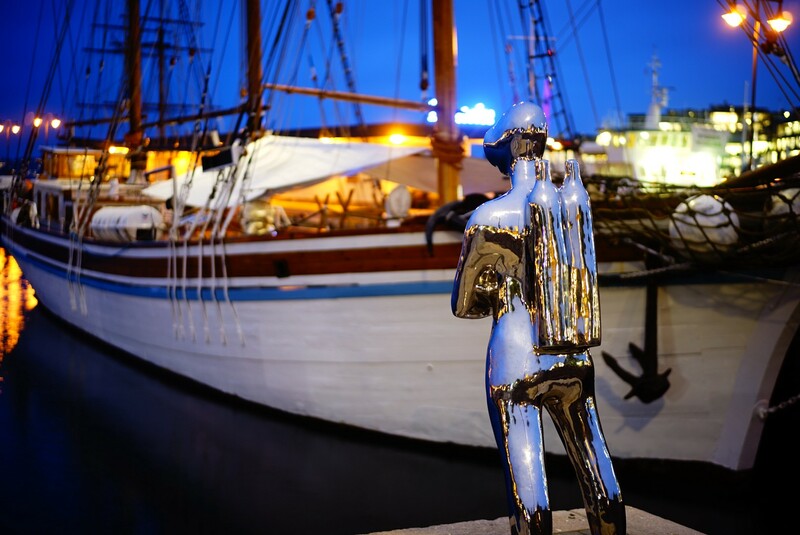 I’m not sure why these were the recurring topics, but here are some of the challenges that the startups in Norway’s ecosystem are struggling with. So, without further ado, here is some completely unsolicited advice from Some Random Bloke on the Internet™, to be taken with the same number of pinches of salt as any other unsolicited advice from Some Random Bloke on the Internet™. 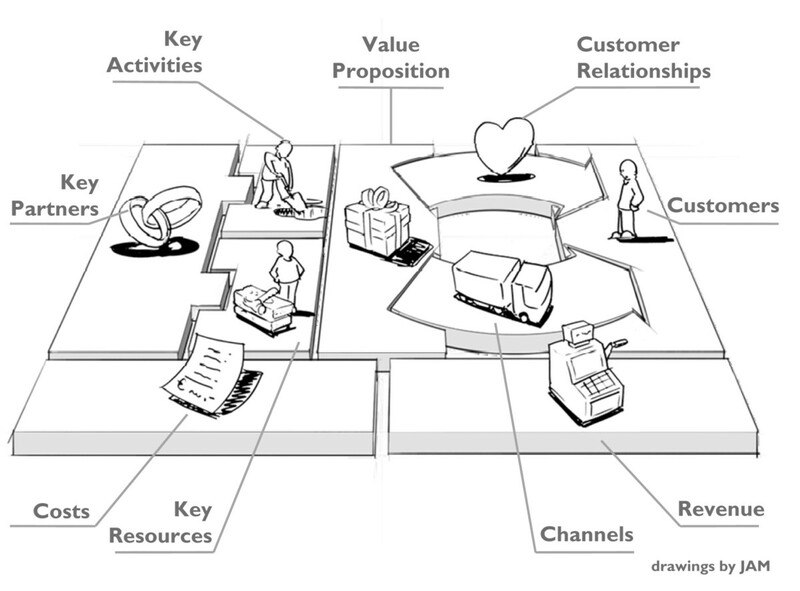 The Business Model Canvas is a powerful tool. Use it, love it. One of the recurring conversations I was having was around business models. Some of the startups plainly didn’t have one, which is fine — but they also didn’t know they were meant to be looking for one, which isn’t. A business model is a picture of the entire startup and the space it operates in. The resources, skills and relationships the company has available. It should include the cost base for customer acquisition, production and operation. Your business model hinges on its value proposition for the customer, and — of course, we are running businesses here, after all — the revenue model. As a startup, you can innovate on any (or all) part of your business model, but in order to do that, you’re going to have something to iterate from. Which is a long-winded way of saying that you need a business model. The answer should never be “I don’t know” when you are asked what the product is, who it is for, and what problem it solves. It cannot be “Not sure” when I ask what the value proposition is. And it definitely can’t be “What’s a value proposition?” You are operating in a market that is far bigger than just a beautiful city next to a fjord, or a country that is in the process of giving Sweden a massive group-hug. You’re up against companies who have hugely sophisticated approaches to turning things upside down. A good place to start is to read Business Model Canvas Generation. It helps explore which parts of your business model you’ve nailed down, and where you need additional help. Not having an answer isn’t good, but don’t worry about having the wrong answer. Yet. That’s the point of being a startup: Coming up with educated guesses, iterating until you have a repeatable business model, and then growing the hell out of it until you’re worth a billion dollars. Create a plan for what you are going to do, and be prepared to change it as soon as the assumptions are proven wrong or the context changes. If you’re the reading kind, why not work your way through this whole list while you’re at it. 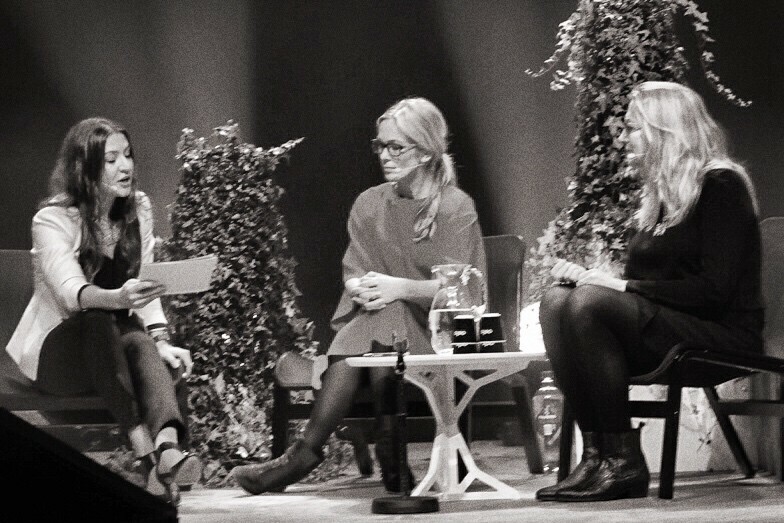 One thing Oslo Innovation Week got very right: Over 50% of the speakers and moderators were female. Awesome. Closely related to the above is that quite a few of the founders I spoke to were horrified to be challenged on things. That sets off warning bells for me. There’s a few problems with getting defensive. A naïve but friendly face (in this case, yours truly) challenging your business model, market assumptions and revenue projections is the least offensive way this is going to happen. Around an investor table, understand that while investors want to help you, they will have a queue of potential startups around the block. If you haven’t figured everything out about how you’re going to take over the world, that’s OK. Understandable, even. You don’t have to yet. Just don’t expect investors to tell you why they are turning your company down. They rarely do. On both accounts: They rarely turn companies down (investors master the art of the ‘soft no’) and they rarely tell you why. There’s simply no incentive for the investors to tell you what you need to change: they aren’t in the business of mentoring you. It’s often said that “a startup is a temporary organization looking for a repeatable business model.” It’s my favorite description of a startup, and there’s something deeply true hidden in that statement: change. The first business model you find probably won’t work. Maybe you need different marketing channels, perhaps you’ve misidentified the market, or maybe the value propositions are off. In a startup, the only constant is change. On the topic of value propositions, by the way: “We create product X to solve problem Y for customer segment Z, unlike our competitor A who does B” is a great format for value propositions; it shows that you’ve all the key points in context. Your value prop needs to solve an actual problem that people are willing to pay to have solved. If there are gaps in your understanding of your value proposition, or you’re solving a problem that nobody is willing to pay to resolve, you don’t have a value proposition, you don’t have a business model, and you don’t have a business. Harsh? For sure, but you didn’t start reading this article expecting a hot cup of chocolate and a cuddle. As I said before; changing your business model on a continuous basis makes perfect sense. If it turns out that your original business model was to sell unmanned underwater vehicles to boat owners, but it turns out that the same product solves an expensive problem in the oil industry, it’s possible that pivoting the business and changing the marketing focus can completely turn your business inside out. Similarly, if you created that product for the oil industry but it turns out it doesn’t fully solve the problem (or it doesn’t address part of the use case), marketing the same product to boat owners instead can unlock a whole new market without having to go back to the drawing board on R&D. Incidentally, this isn’t an example picked out of the blue. BluEye is a really cool Norwegian company doing underwater drones. Tremendously interesting product — when the company figures out who its customers are going to be. In a startup, the only constant is change. Embrace it and be prepared to pivot. Whatever you do, don’t assume that anyone (Random Dudes on the Internet such as myself included) knows better than you. “But our investor thinks…” isn’t a good enough reason not to explore iterations on your business model, and your investor will understand that. I’m comfortable admitting that I was fanboying at Bill Tai more than a little bit. One of the biggest challenges I ran into with startups over the past week was a huge lack of understanding of how venture capital works. Google it, understand it. I can’t overstate how important this is. Raising venture capital isn’t a case of taking a plane to San Francisco and a train to Silicon Valley and talking to someone about the cool stuff you’re doing. Don’t get me wrong, VCs love cool stuff, but having a cool business or a nifty product isn’t enough. For venture capital to make sense, you have to understand the VC business model. In very short: They raise a fund, and deploy the money in a number of investments. They know that many — the majority — of their investments will fail. A portion of the investments will get them their investment back. And a tiny fraction will get them a huge return. For the fund to make sense on a whole, it’s not about the individual investments — it is about making sure that each individual big-hit investment is so valuable that they counteract the losses the fund makes on all the failed investments. In other words: If you have a business model where you’re raising NOK 10m and are looking at a best-case-scenario exit of NOK 100m, you are not VC investable. It doesn’t matter how fun the market is, how interesting the problem is and how innovative the solution is. If a venture firm invests NOK 10m for 20% of the company (50m valuation), you need to have the possibility of a NOK 500m exit, which would result in a 10x return for the VC firm. And that is the absolute minimum. Now, that doesn’t mean that exiting at a lower sum would mean a disaster — but look at it from the VC’s point of view: VC is a spread-betting game. Each fund places a number of bets, and hopes that one of those bets will pay off huge. If your business doesn’t have the possibility of being one of those big bets, the VC’s business model doesn’t work, and they won’t invest. If your business isn’t VC investable, either change your business model until it is, or find another way of growing your business — don’t expect professional investors to write big checks otherwise. I hasten to add — not all businesses need VC investment. If yours doesn’t, then don’t go down that route. VCs are lovely people, but the mechanics involved with trying to make a VC fund work can make for some ugly realities. 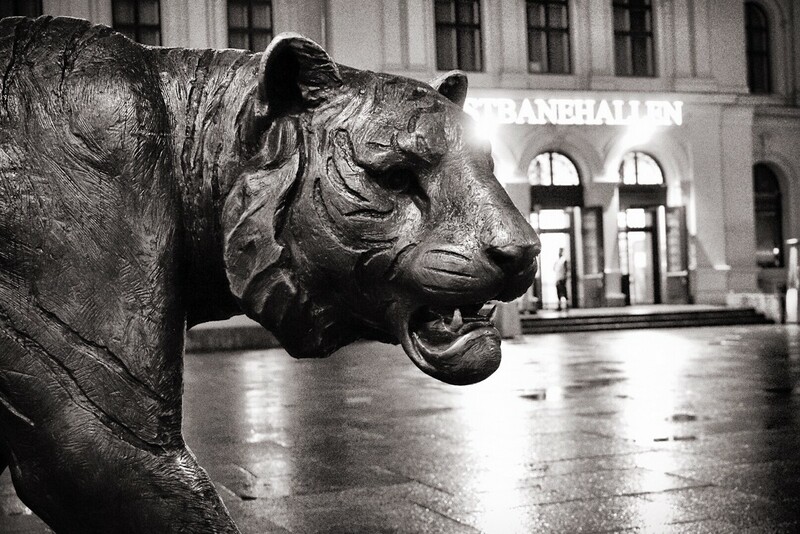 I mean, you have statues of goddamn tigers outside your train station. You can do this, Norway! A corollary of understanding the way VC works means that you start understanding what VCs are looking for in your company. 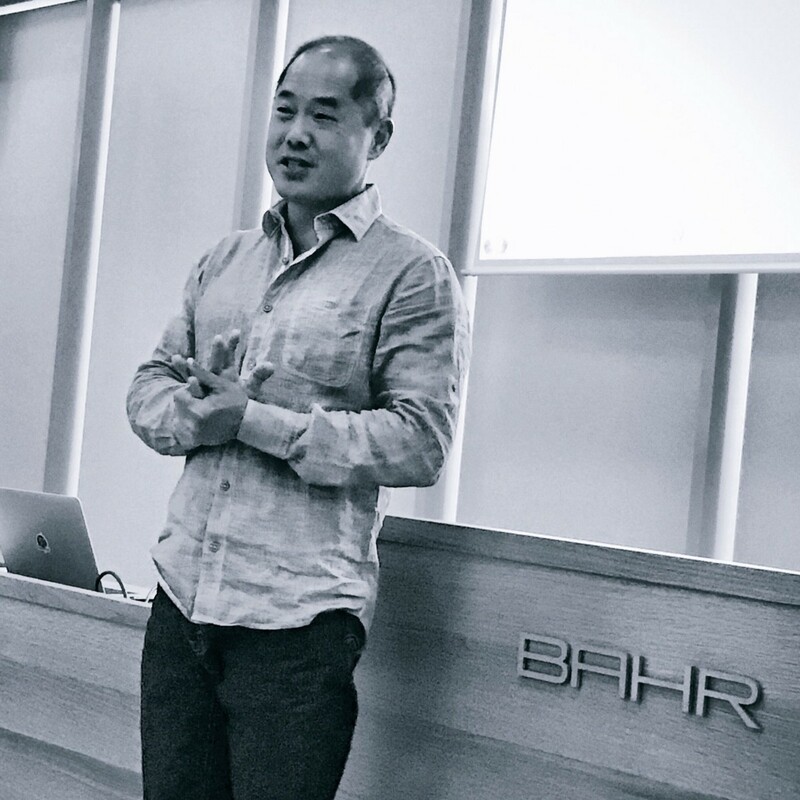 As Bill Tai explained as part of the Nordic Extreme Tech Challenge judging process, investors will look for a huge (and preferably growing) market, with a great team, in the right place at the right time. The best way to show the size of the market is to do a bit of research and figure out what your total addressable market is. The best way to prove everything else — that you have the right team, solving a real problem that people are willing to pay for, and that you’re ready to accelerate — is to show traction. If you have a number of users or an engagement figure, or a revenue / profit line — shout about it. In fact, when you’re pitching it’s a great way to catch the audience’s attention. If you say “We have 17k monthly active users and are growing 8 percent per week,” I honestly don’t even care what your solution is or which market you’re in. It doesn’t matter at that point. It shows that you have found a market, that you know how to grow your user base and that you’ve found a product/market fit of sorts. That’s rare stuff in startup land, and your audiences know it. Flaunt it. The best type of traction is revenue, of course, but any traction is better than no traction — I’m not picky. I estimate that a full 80% of companies I spoke to over the past week didn’t have any meaningful traction. If you have it, and you want to stand out, that’s a great fact to kick off the conversation. If you don’t, focus on explaining how you’re going to get traction. If growth isn’t scaleable, it isn’t growth. 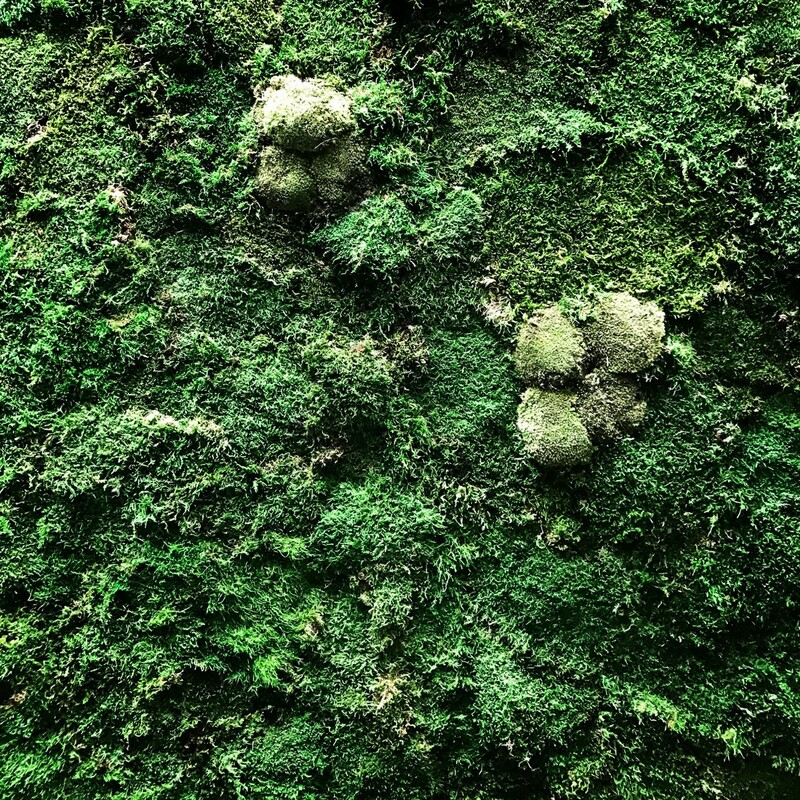 Oslo Airport has moss growing on the walls. As art. Clearly, Norway gets growth. And I wish to apologize for this horrible joke. I’m deeply embarrassed. A lot of the startups I spoke to were proud of that they were growing “without spending any money on marketing”. I get why that sounds awesome, but it’s rarely a good thing to beat your chest about. Saying you haven’t spent any money on marketing doesn’t show that you’ve found a way to grow your business for free. The key here is that you probably early stage, so you are raising money in order to find a product market fit. For most startup, the next step is scaling, and scaling quickly at that. If you don’t have any sales or marketing people in your slide deck and you say you’re not spending money on marketing, you’re doubling down on sending the wrong signal. Saying you haven’t spent any money on marketing doesn’t show that you’ve found a way to grow your business for free, it just shows that you’ve not found a scaleable business model. It means that even if you were to raise a large amount of money, you wouldn’t have a way of accelerating your growth. I’m not saying to spend all your money on marketing; don’t. But you should at least have a feeling for what your customer acquisition costs are for each channel, and have a very clear idea for where you’re hoping to focus for further growth. Ideas are cheap. Execution is expensive. Traction is everything. Being able to tell the stories about where your company came from and where it’s going is crucial. Anita Schjøll Brede from Iris.ai did one of the best pitches I’ve seen in Oslo — but she was also in Silicon Valley for a while. I think all that proves is that Silicon Valley is much better at emphasizing pitching as a required skill for startup founders / CEOs. Ultimately, I believe that everything you do as a startup is about storytelling. Sales starts with a story. Marketing starts with a story. Pitching, raising funding, getting press, hiring staff — it is all storytelling. There’s no excuse for not having your pitch down perfectly. Most importantly, remember your audience. I don’t really care about what’s exciting to you. I want to know why what you are doing is exciting to me. “Me”, in this case, is the proxy for your target audience. You know who you’re likely to be talking to, so customize your pitch to them. As a journalist I want to know what is unusual, new, or innovative so I can write a compelling story. As a potential employee, I want to know why your company is fun and interesting and lucrative. As an investor, I care about all of that, but mostly I want to know what the bottom line looks like: how is it going to make me money? Realistically, your pitch will probably be very similar in each case, but the punchline and focus changes based on your audience. Make sure everyone who tells the story of your company knows that — if they don’t, lock them away until they do. Nothing makes your (possibly successful) company look worse than someone who can’t efficiently tell its story. A propos story… If you have one, ensure it has all the details in it and tell me more. I am, after all, perma-curious.